The BRUDER farm provides little farmers with everything they need to play. The building has a cow, a farmer and many other details so that a typical day on the farm can be recreated. There are, for example, a milk churn carriage with milking equipment, a drinking trough, a feeding fence with trough and two places for the animals to lie. The milk can be taken from the cow directly by the dairy farmer using the milking equipment and put into the milk churn. The wall column with brush machine also ensures the well-being of the cows. This farm is also based on the BRUDER flexible building system, allowing it to constantly grow and be combined with other buildings. The roof parts that can be taken out individually and the flexible walls mean that you can always set it up the way you want and reach anywhere easily. It can also be put away at short notice to save space by taking the building apart. 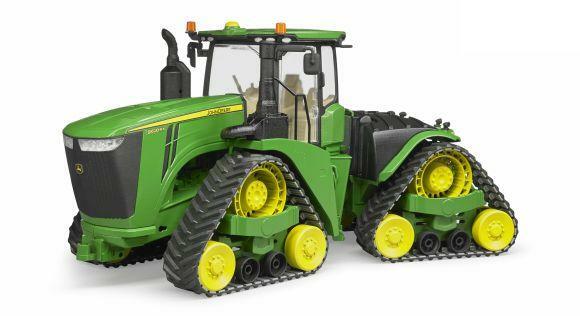 Bruder toys are really rugged and should I need any spares I could get them.